Similar to fine leather, “hair on hide” pieces have a natural beauty. 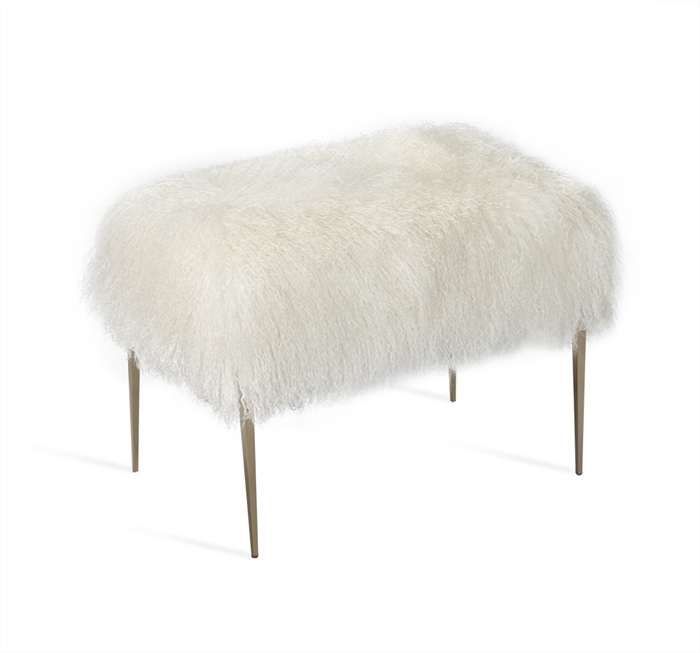 Furnishings covered in hair on hide can have a vintage or modern feel. Color patterns, hair length, and natural markings of the hide make each piece unique. 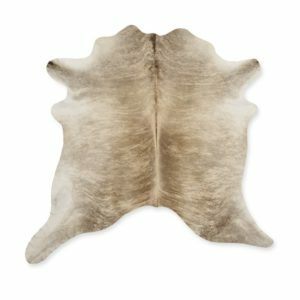 While they have been around for a very long time, cowhide isn’t just for rugs anymore. What exactly is Hair on Hide? It is the skin/leather of an animal with the hair remaining on. Commonly used in the past as a rug in the shape of the animal. Hair on hides are trending for a variety of furnishings in some unexpected styles. From rugs, to furniture and even as a wall treatment, the design world is using this luxurious leather as accents everywhere. 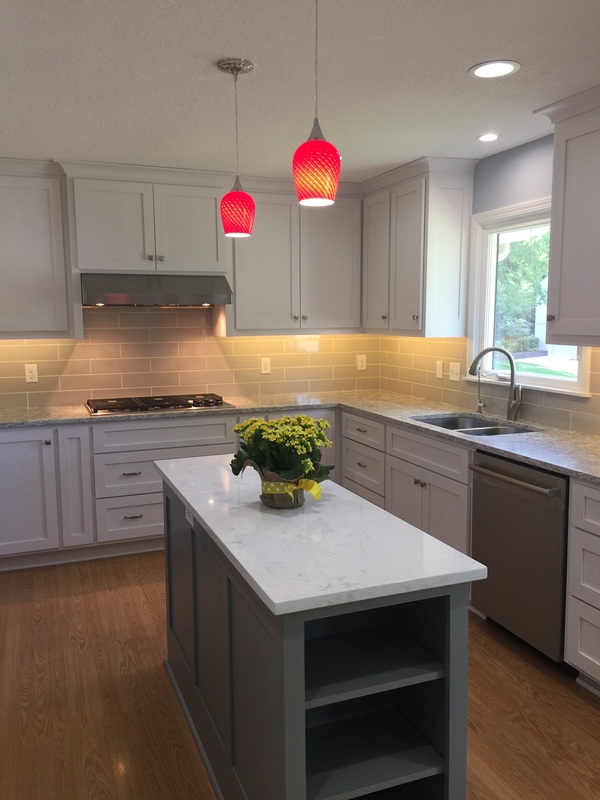 Coffee Creek Interiors just wrapped up a lower level finish this Fall. 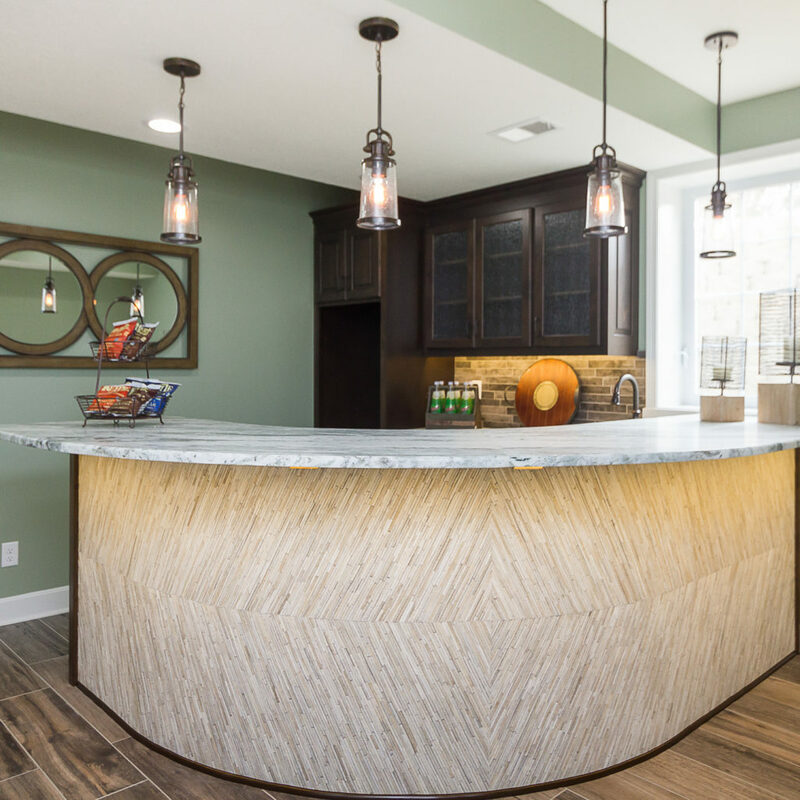 Our clients wanted a curved bar which entails a curved wall base. 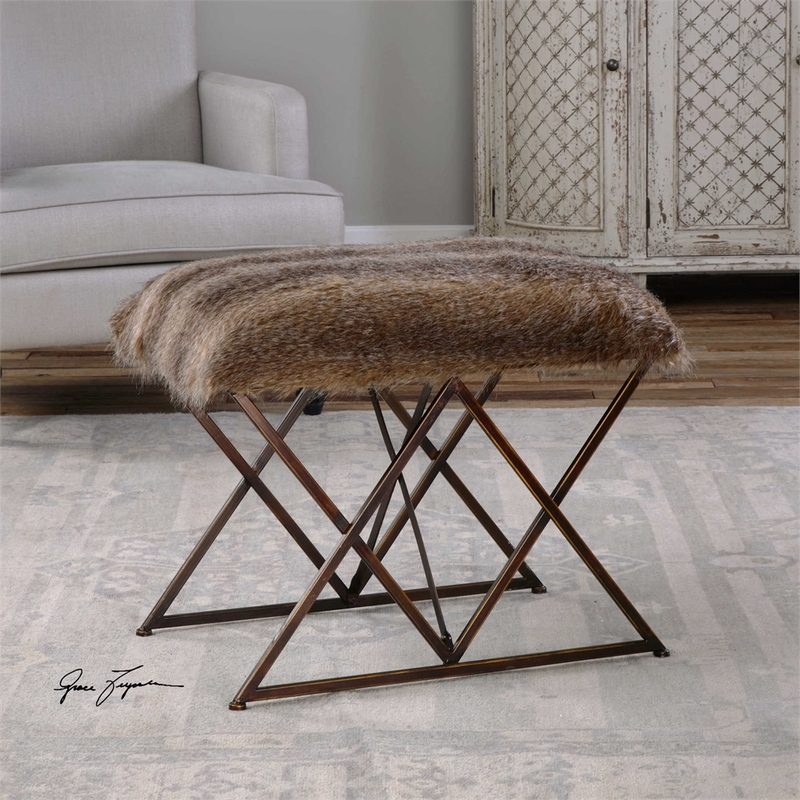 Given the task of finding a durable, yet remarkable finish, we thought of using one of our area rug companies who make hair on hide rugs. 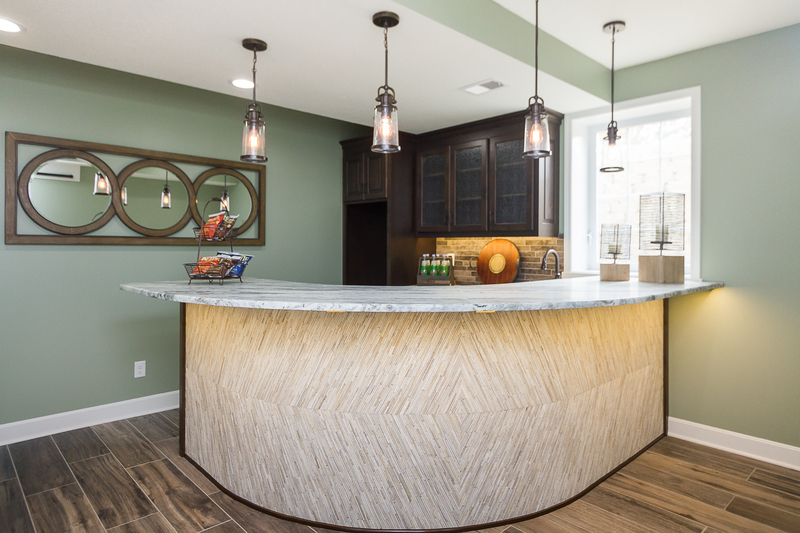 What started out as a rug………became the finish on this bar base! It was cut to size, bound, and attached to the drywall base. 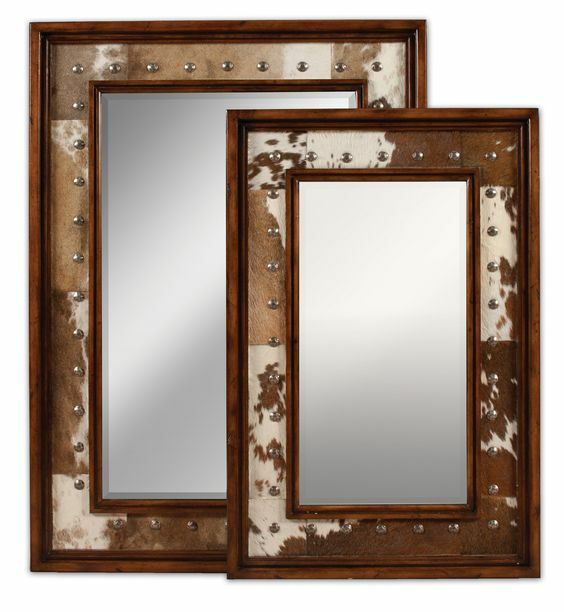 Rustic, yet elegant….and certainly durable! How cool is this?! What makes a beautiful room, is the layering of textures. 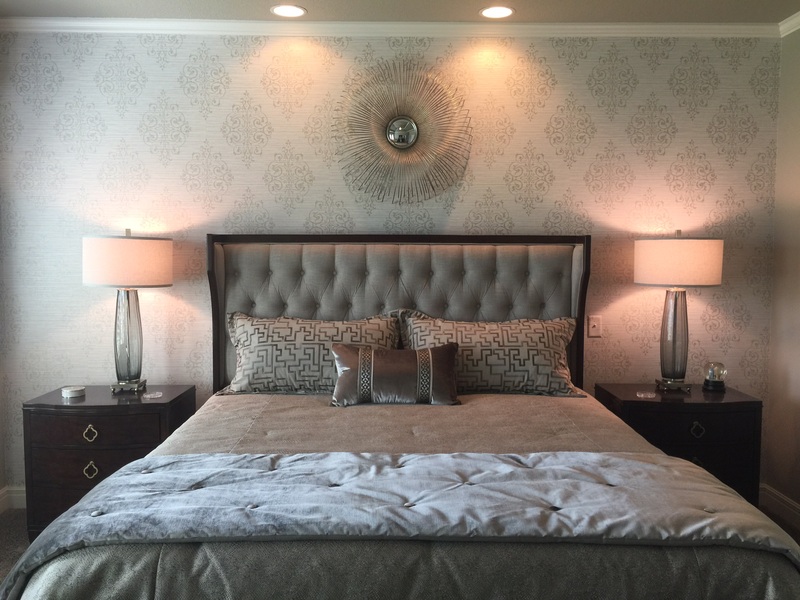 From the smoothness of silk to hair on hide, the carefully curated use of different textures is what makes a room feel welcoming. 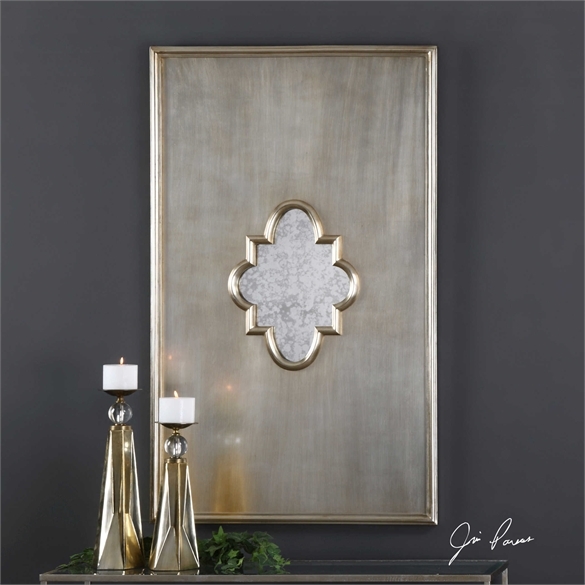 And often, it is just the use of one spectacular piece that makes your space uniquely you. 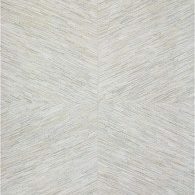 Interlude has added a sensational group of pieces constructed of hair on hide and lucite, another on trend material. 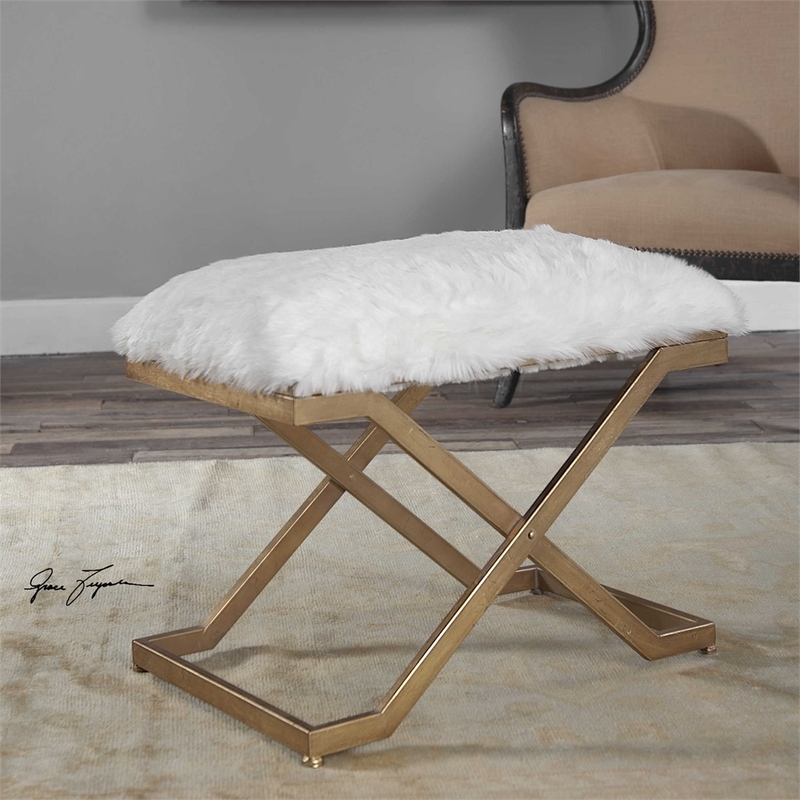 Not just limited to the bovine family……look at this fun sheepskin chair….how cool to use one at a bathroom vanity or a desk! 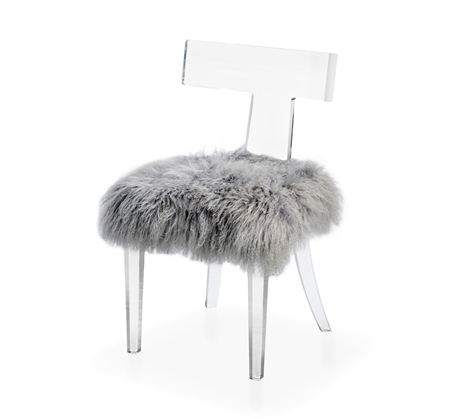 If using real fur isn’t really your thing…..there is always the option of faux fur. 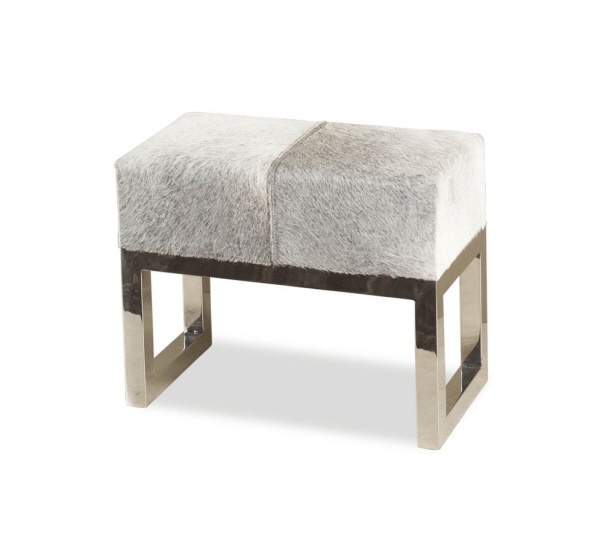 Less expensive, and super durable, these benches from Uttermost look great almost anywhere. 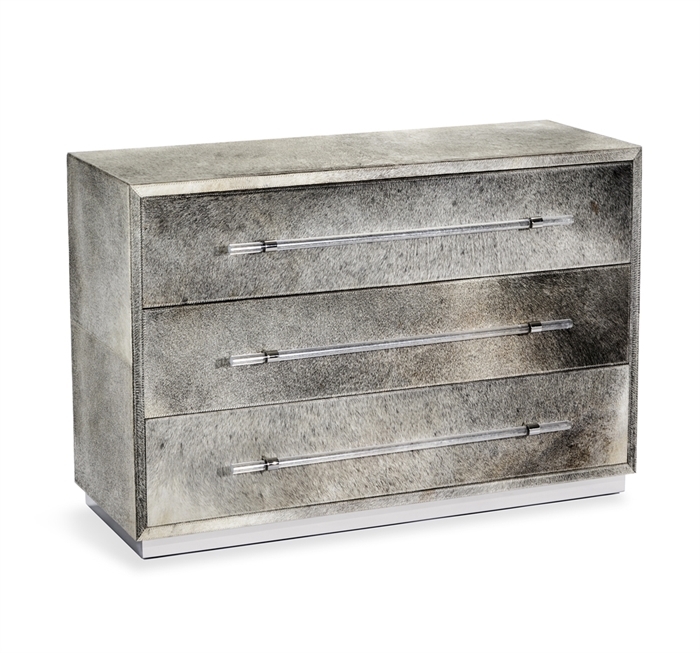 And last, but certainly not least…..we are using chests like the one below as nightstands with upholstered headboards, as well as accents in mirrors, boxes, and art. 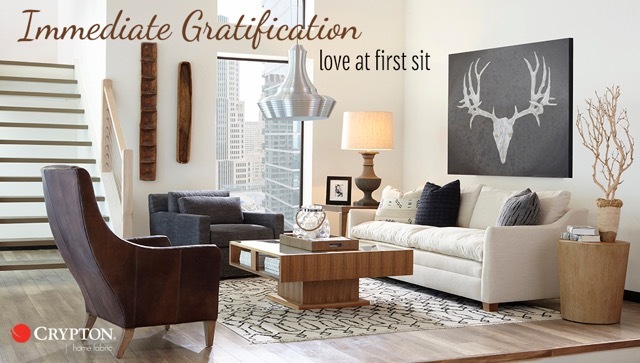 All of the above are available through Coffee Creek Interiors at Studio One Sixty in Overland Park. 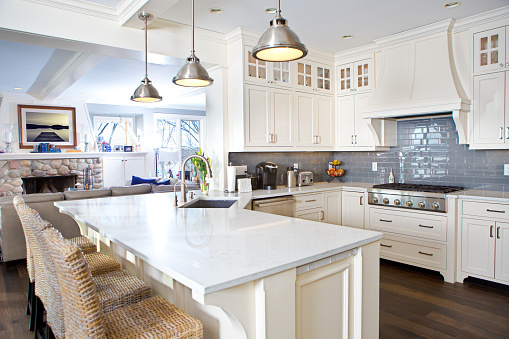 Call us today for a consultation on how you can make your home as unique as you are! And as always, sign up below to receive our free newsletters, blogs, sales information and offers.